← The Sports Archives – Canine Cross Country Running – One Of Europe’s Fastest Growing Sports! One of the big benefits of keeping a horse as a pet is that you don’t need to keep them in the house all the time. This means that unlike a dog, you don’t need to worry about them making a mess of your carpet, making everything smell, or eating everything you own. But unfortunately this is also one of the downsides of a horse. Partly this is a downside because you’ll be left without your horse’s company when you want to come home to a furry companion, but also it’s because you have to leave them outside in the cold – even during winter – and of course this can be a little bit worrying. What’s key to remember here is that horses are animals and are designed to live outside. Unlike you and I, they have a thick coat of horse hair that’s specifically intended to keep them warm when there’s a cold breeze. If you use the right approach then, you can make sure that your horse is warm and happy even when it would be freezing for any human out there. The first thing to think about is the stable where you’ll be keeping your horse. Again what’s critical to remember here is that an ideal home for a horse is different from an ideal home for a human. Specifically then, you need to avoid the mistake of trying to heat up the stable, or keep it entirely closed. A horse will be plenty warm enough in an open stable, but closing it or keeping too many horses together can risk damp and mould getting in which can create problems for your pet. Let air circulate, change the hay and straw regularly, and focus on keeping it dry and spacious rather than warm and closed-in. The same goes for blankets. 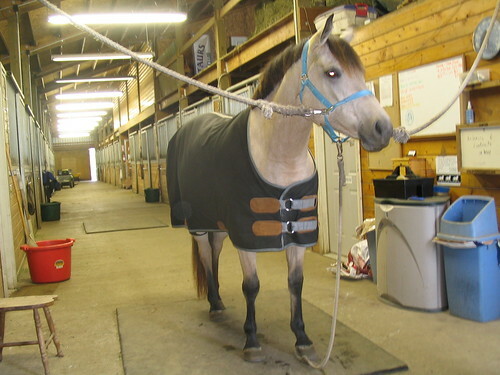 You might think you’re helping by wrapping your horse up warm in a blanket, but actually all this does is to flatten their fur. A horse’s coat is actually only so effective because the hairs stand up slightly, which allows pockets of air to get trapped between them. Because air is an insulator, this means that the horse feels warmer despite being outdoors. If you lie a blanket over your horse, then the hairs will be flattened, and thus they’ll actually be colder than they would have been otherwise. 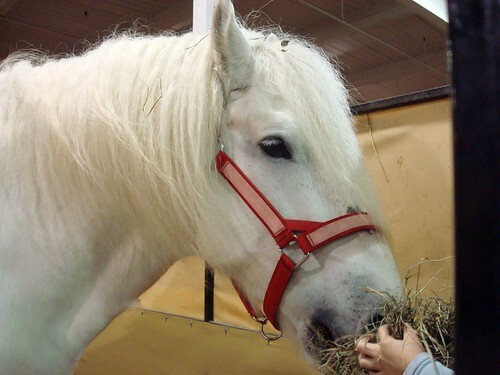 One thing you can do to help your horse though is to increase their diet and to make sure they’re getting plenty of food and lots of nutrients. In winter a horse will burn more calories simply by trying to stay warm, and thus they need more food to make up for this deficit. Check your horse regularly for signs of weight loss, especially around the ribs. And if you notice any potential problems, get them to a vet as quickly as possible. Today’s contributor, Ann Cooper, is an employee at Pleasant Plains Animal Hospital, renowned animal hospital in Staten Island. Ann loves to dance and takes Salsa lessons with his wife on weekends. The Equine Industry And Its Impact On The Economy! A Beginners Guide to Horseback Riding! This entry was posted in Horse Racing, Other and tagged Equestrian Blogs, equestrian care, Horse, horse blankets, horse blogs, horse care, horse diet, horse health, horse maintenance tips, Sports Archives, Sports Blogs, stables, winter horse care. Bookmark the permalink.